Professional classical musicians, Ron & Roger "play for pleasure" while captivating the attention of their appreciating listeners. 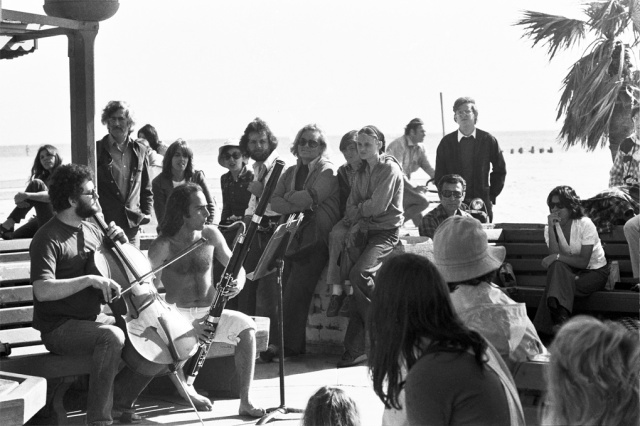 As diversely distinct lifestyles; Bassoonist Ron Grun travels throughout Europe and aesthetically entertaining audiences on the streets of Paris France, were as cellist Roger Lebow, amongst many other groups performs with the XTET Group; www.mondayeveningconcerts.org/bios/xtet? They developed an old friendship which has bonded them through the years on mutual grounds with..."The Passion For Music." Roger has been teaching at: www.pomona.edu/academics/departments/mu? and has chaired at the LA Opera house for the past 25 years.